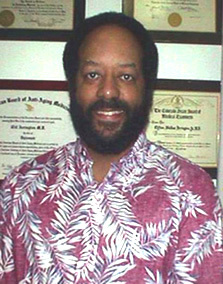 Dr. Clif Arrington, Anti-Aging M.D. selected by readers of "Hawai'i Island Journal"
Anti-Aging Medicine is the new medical discipline which aspires to halt the degeneration and disability that is normally associated with aging. With the use of current and future advances in medical technology, biological aging is attacked on many fronts to recapture and maintain the lost vigor of youth. Oxidative Therapy is simply treating the body with extra oxygen. The addition of extra oxygen has many benefits for both prevention and treatment of disease. This site was created by: Uneco Web Designs.